Eighteen suspected members of the group behind the 2016 defeated coup in Turkey were arrested on Tuesday, Anadolu Agency cited sources as saying Oct. 9. The suspects, arrested in 25 provinces, include 12 soldiers -- both active duty and not -- and six civilians, said the sources, who asked not to be named due to restrictions on speaking to the media. 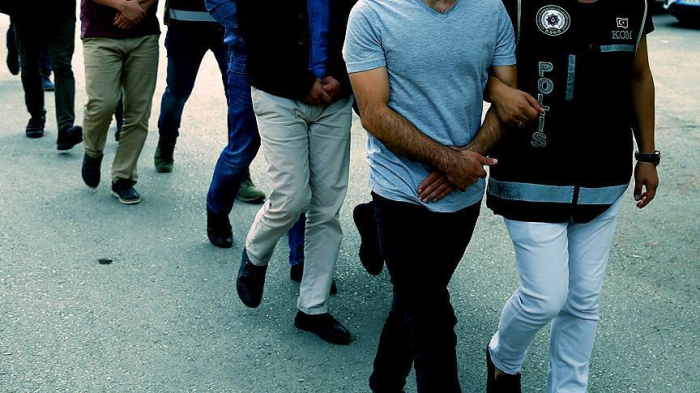 They are part of a group of 45 suspected members of the Fetullah Terrorist Organization (FETO) that Istanbul prosecutors issued arrest warrants for, including 25 soldiers and 20 civilians. The warrants include 17 active-duty soldiers, three dismissed soldiers, three retired soldiers ,and two military cadets. One of the arrested suspects, identified as a major with the initials M.E.T., is said to have been the Kastamonu central commander.